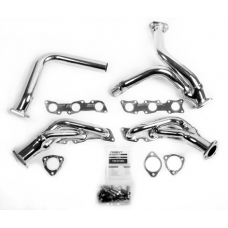 Replacing your factory Nissan Hardbody (D21) exhaust manifolds with new Nissan Hardbody (D21) exhaust headers, will increase the efficiency of your engine therefore increasing horsepower. This is achieved by building headers with individual, large radius bent, exhaust tubes from each exhaust port to accelerate the flow of the exhaust gasses from your engine. This will increase the efficiency of your Nissan Hardbody (D21) motor giving increased horsepower and gas mileage. Nissan Hardbody (D21) Headers are also a great alternative to using the expensive factory manifolds on the D21 Hardbody Pickup being that the factory manifolds are prone to cracking & leaking. Fits years 1990, 1991, 1992, 1993, 1994, 1995, 1996, 1997.. 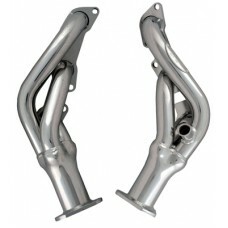 Fits years 1990, 1991, 1992, 1993, 1994, 1995, 1996, 1997These Nissan Hardbody Pickup headers are smog legal and ceramic coated. 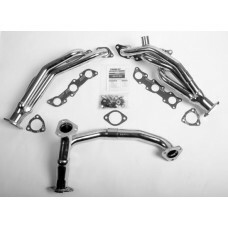 The Nissan Hardbody Pickup headers include all required mounting hardwa.. Fits years 1986, 1987, 1988, 1989CURRENTLY UNAVAILABLE..